The Elks Arts Center was built in 1913 as the Lodge for the Benevolent Protective Order of the Elks Lodge 562 which existed from 1900 to 1937. The Lodge reorganized in 1955 and closed permanently in 1964. 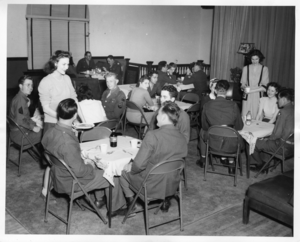 The building was used as the USO Club headquarters during WWII. An Abilene girls group called the "Blue Bonnet Bells" danced with the soldiers in the ballroom during the war years. The City of Abilene has owned the building since 1945 and used it as a City Hall annex and police training facility. The structure's facade, one of the best preserved historic buildings in downtown, is characterized by distinctive brick and masonry work and arched windows. A newspaper article in the Abilene Reporter News recalls the fabulous grand opening of the building on January 1, 1913, with guests traveling to the event in their buggies to dance all night. It was restored in 2000-2001 by the Abilene Preservation League and its supporters. The Building has been restored, renovated and renamed The Elks.